Welcome to the Westlake Neighborhood! This residential and commercial area in Los Angeles is packed with lively culture, originally being developed in the 1920s. As one of many Southern California communities in the process of renewal and ultimately gentrification, more and more artists and young families are flocking to this burgeoning area as positive change continues. Built right on Lake Street in the heart of the Westlake area, 422 SOUTHLAKE is redefining the living experience in this neighborhood, and we’re excited to share this luxury apartment opportunity with you! Los Angeles Apartment Rentals In Westlake Just For You! 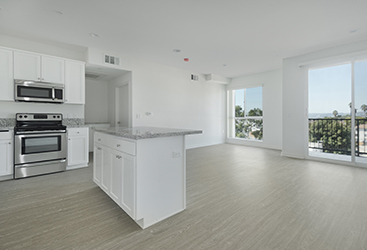 Whether you’re a brand new transplant from out of town who relocated for a job change or you’re simply searching for a new place to live in the city, our 1 bedroom apartments for rent in Los Angeles (as well as two and three bedroom units) are ideal for your budget and style of living. With luxurious amenities like granite countertops and stainless steel appliances, you’ll enjoy the time you spend inside of your luxury Los Angeles apartment just as much as you’ll enjoy exploring the urban jungle that is L.A.
To get started living downtown, get in touch with our luxury property management company here at 422SOUTHLAKE! Read on below to learn about the Westlake neighborhood including the history and features of this area. A quick look on Google Maps shows that the Westlake area is just south of the hipster neighborhoods of Echo Park and nearby Silver Lake, near Historic Filipinotown, Rampart Village and fairly close to DTLA (downtown). Not to be confused with Westlake Village, a suburb in Ventura County, Westlake is a reasonable midpoint between Central Los Angeles and the heart of DTLA. Marked by history with some of the area’s most traveled roads, Westlake is surrounded by the Hollywood Freeway, the Harbor Freeway, West Olympic, Temple Street, and Glendale Blvd. 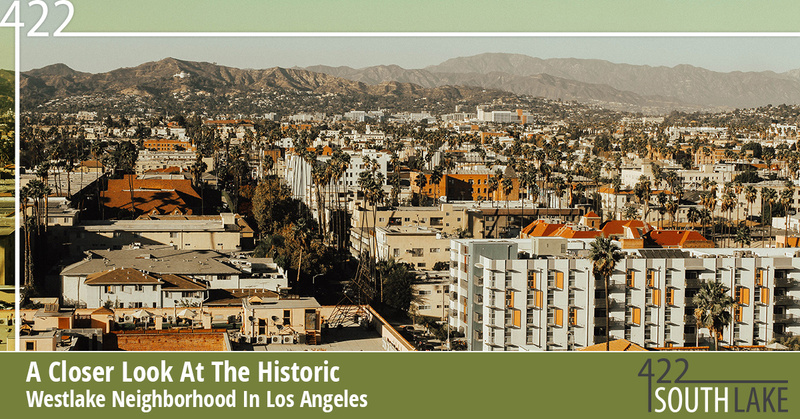 Did you know that Westlake was one of the very first dedicated residential neighborhoods in Los Angeles? Well, if you didn’t, now you know! Indeed, by the early 1900s, it was an area of affluence, on par with the Upper East Side of Manhattan. Back then, housing was primarily in the form of elegant mansions. The Westlake population enjoyed the pristine MacArthur park, an area that was once known as the Champs-Élysées of Los Angeles. Before the freeways were constructed in the 1950s, the Los Angeles Railway’s Yellow Line served as the primary form of transportation with an impressive 20 lines and 1,250 street cars. After the 1950s, streetcar lines began to lose their popularity, and they were eventually abandoned in 1963, being replaced by diesel-powered buses. Given the area’s rich history, cultural attractions are one of the main factors that draw people to the area. With places like the historic MacArthur Park, Filipinotown, Lafayette Park and Temple-Beaudry only a short walk away from our apartments for rent at 422 South Lake St., there’s always something interesting and noteworthy to check out in-person. While these areas were more crime-ridden decades ago, the city has taken great efforts to make these areas safe and beautiful once again. You’ll even find a floating public art installation at MacArthur Park that features 3,000 painted spheres! There’s no shortage of delicious dishes to sink your teeth into in Westlake. With a healthy (or not-so-healthy, depending on where you go) balance of historic eateries and trendy, up-and-coming restaurants, Westlake has something for everyone’s palate. Go back to the 1940s and hit up Langer’s Deli on Alvarado St. for a pastrami sandwich that’s to die for, or visit the Original Tommy’s Burger location. Westlake is also home to the first American El Pollo Loco, and for something new, give Plan Check Kitchen & Bar a try. Not unlike many other areas in the United States — but perhaps unlike other dense urban areas like New York City or Boston — traveling by automobile is the preferred method of transportation for the majority of Westlake residents. The closest freeways are the Hollywood Freeway and Harbor Freeway, but if you’re not trying to dive headfirst into traffic every single day during rush hour, there are, of course, other options. The Los Angeles Metro’s Red and Purple lines run through the area, making it relatively easy and simple for commuters for live in Westlake but work downtown. Listed on the National Register of Historic Places back in 2009 (nearly a decade ago! ), this theater is a historic gold mine in Westlake. Originally opened in 1926, the theater had seating for some 1,949 patrons and was primarily used for motion pictures and vaudeville shows. Residents enjoy one of the theaters’ remaining intact features, an original steel frame, three-story neon signs that reads “WESTLAKE THEATRE.” Before its listing on the National Register of Historic Places in 2009, the building was declared a Los Angeles Historic-Cultural Monument in September of 1991 in order to protect it from drastic changes. Enjoy The Best Of Westlake At 422SOUTHLAKE! With rich, rustic culture only a short walk out your front door coupled with the modern conveniences and luxuries of our modern apartments for rent near downtown Los Angeles, you can’t go wrong by choosing 422SOUTHLAKE. 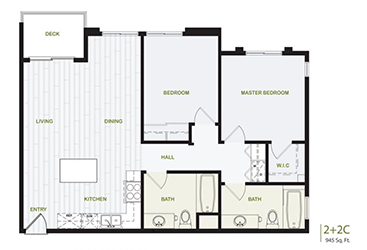 We have multiple floor plans available to accommodate sole living situations, as well as living situations with roommates. 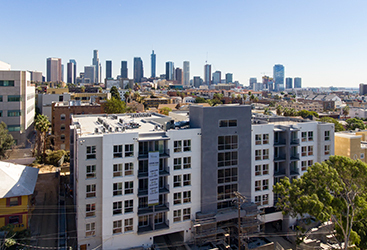 Learn more about living at our Los Angeles apartments for rent located at 422 South Lake St. by contacting us today!